Camden’s West End Project: Compromise or Capitulation? 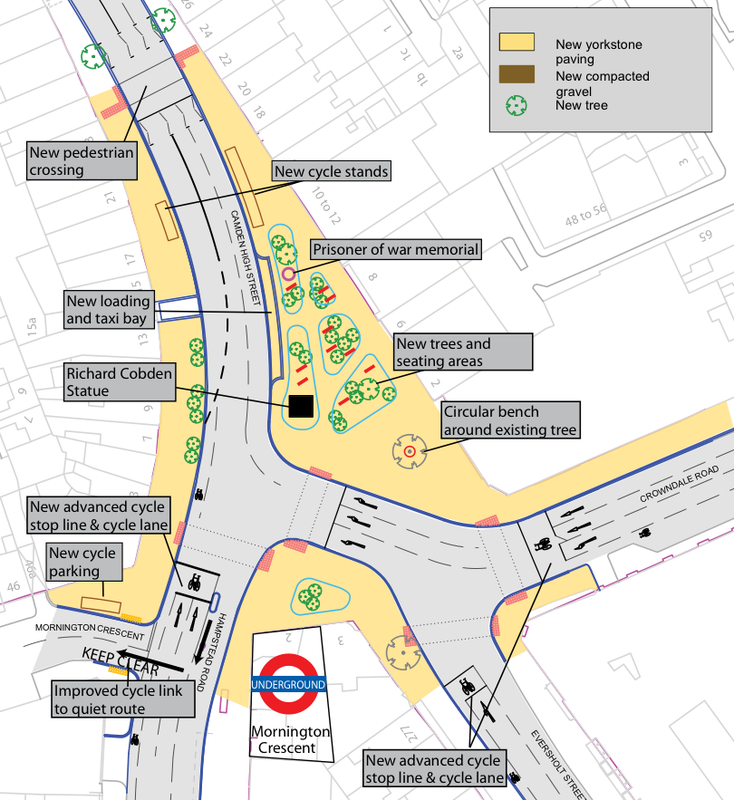 So after last year’s debate about Camden’s plans for a thorough re-do of Tottenham Court Road and surrounding area, the council has come back with some finished plans. 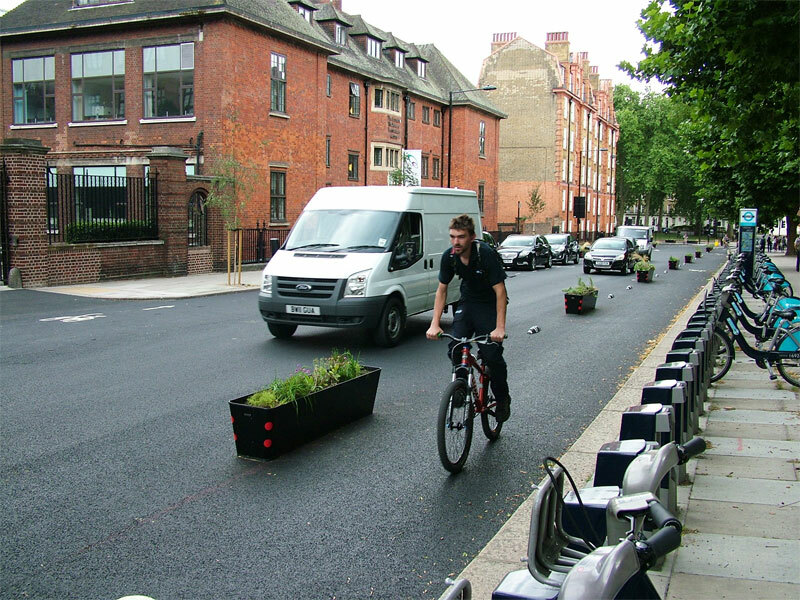 David Arditti covered it twice, Rachel Aldred analysed it, and Danny of Cyclists in the City questioned the merits of the scheme. 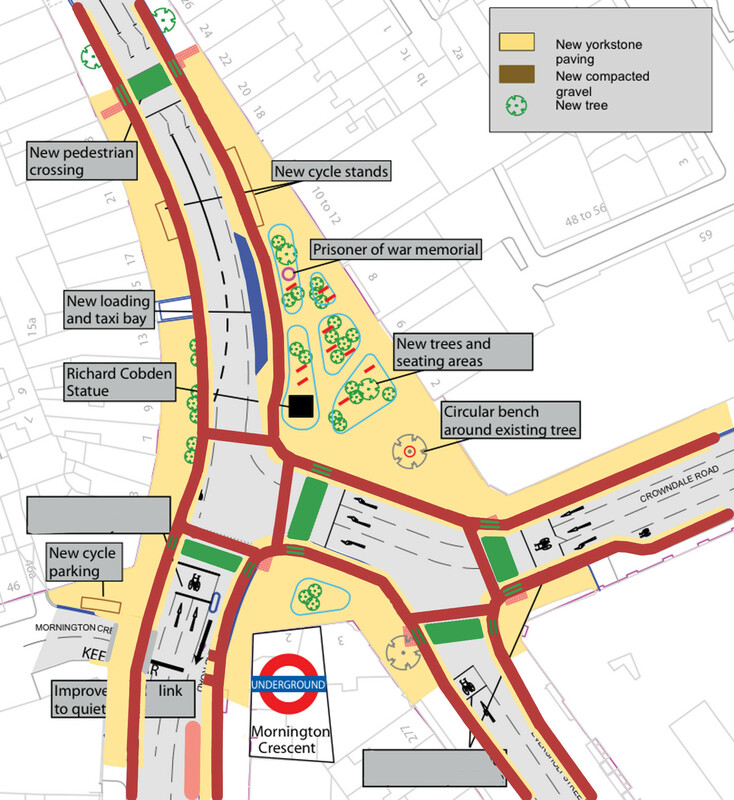 MaidstoneOnBike presented his own plan for Tottenham Court Road. Mark of the iBikeLondon blog has been largely in favour throughout, but I really couldn’t disagree more. 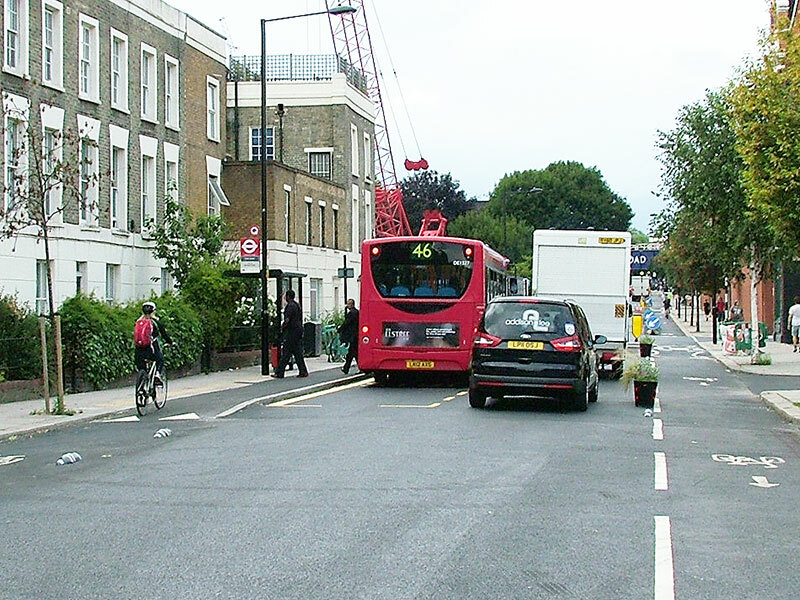 The essential problem with the scheme is that Camden continue to prioritise motor vehicles, at the expense of people on foot and on bikes. 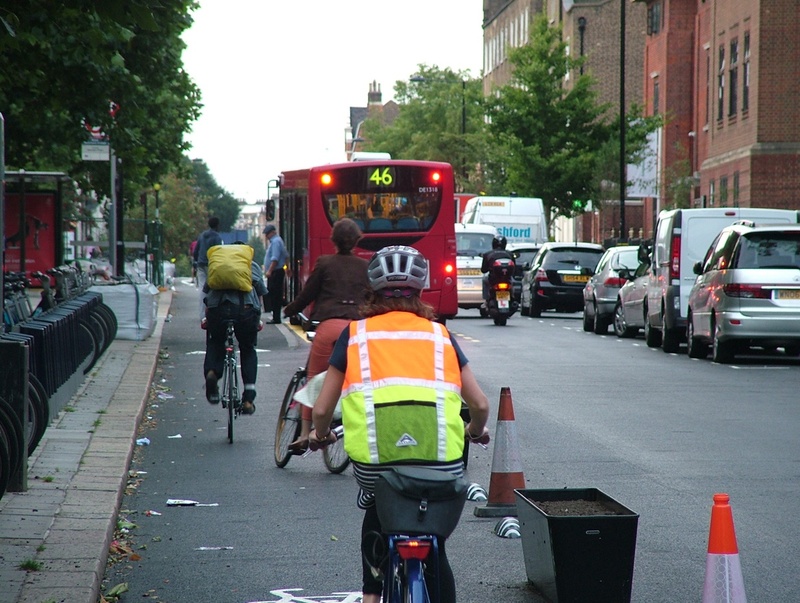 During the day, cycles and private motor vehicles will all be funnelled onto Gower Street, and it doesn’t really fit. Well, it does, if the footways are trimmed back a bit, and nobody ever wobbles, but only just. 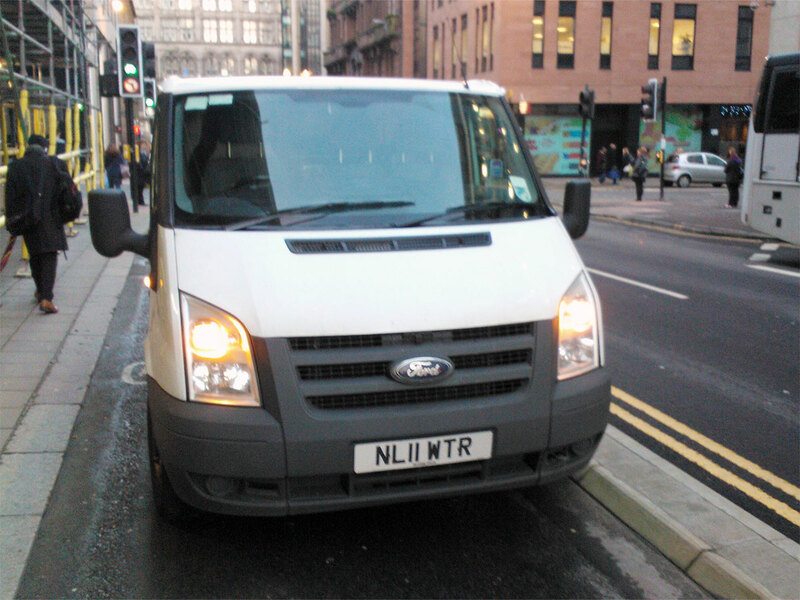 It will never be a pleasant ride, even when the cycleway isn’t being used for parked vans. Meanwhile, the spacious Tottenham Court Road will be turned into a copy of Oxford Street, i.e. end-to-end buses, with all the dangers that entails and air so thick with pollution you can almost chew it. 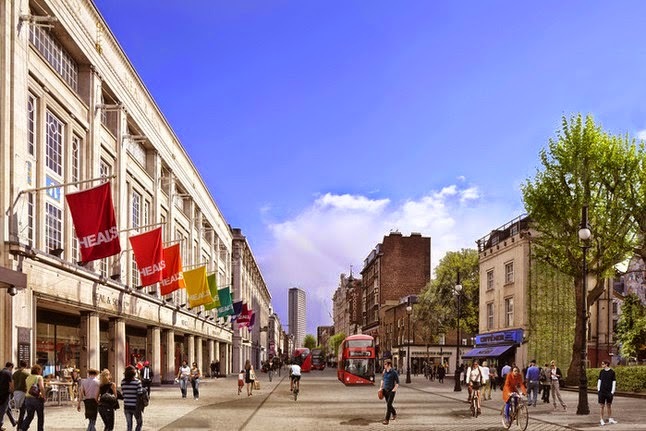 To describe the planned Tottenham Court Road as “a primarily pedestrian route” is pure hyperbole, considering that for 13 hours a day it will be open to all traffic in both directions (opening up new motor vehicle routes that currently don’t exist). Where are all the buses in this photo? What will it look like at 5 past 7 in the evening, when it’s open to all traffic in both directions? The photo is pure propaganda. 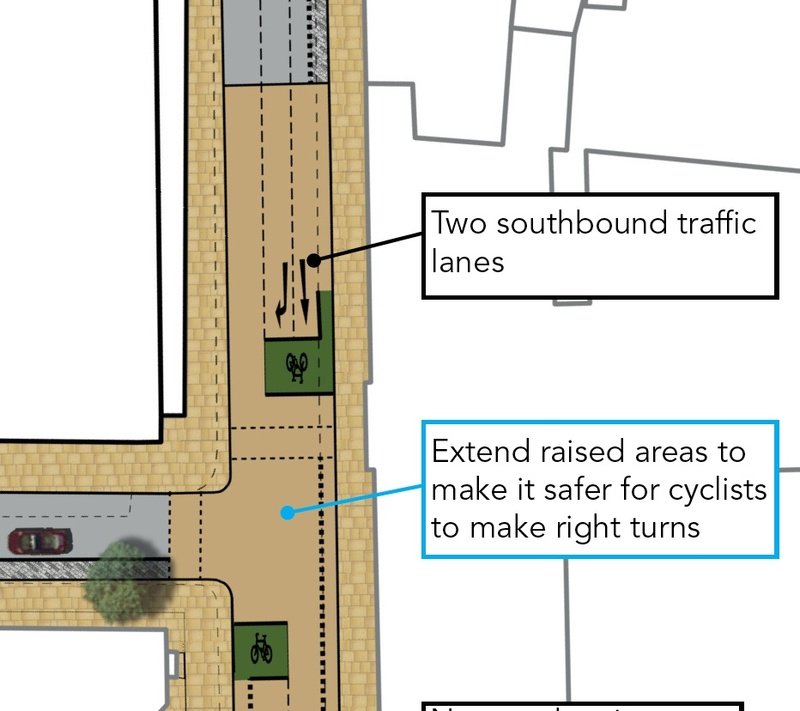 The stepped cycleway on Gower Street is a compromise in itself, the bare minimum that we should accept, both in width and design (it should be wider and better separated). Yet now we’re expected to also accept vans parking on it right in the middle of the day (10am to 2pm) – a compromise upon a compromise. 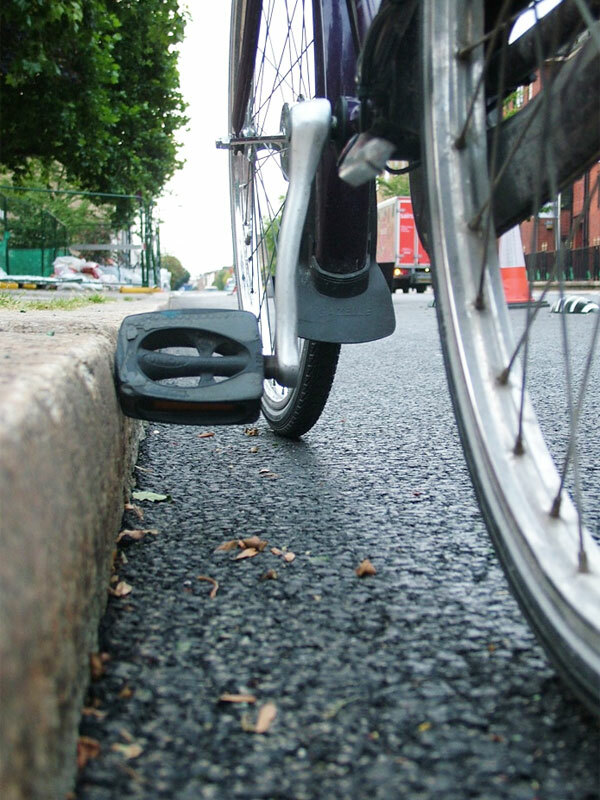 Do you know how annoying it is to find someone parked in a cycle lane? 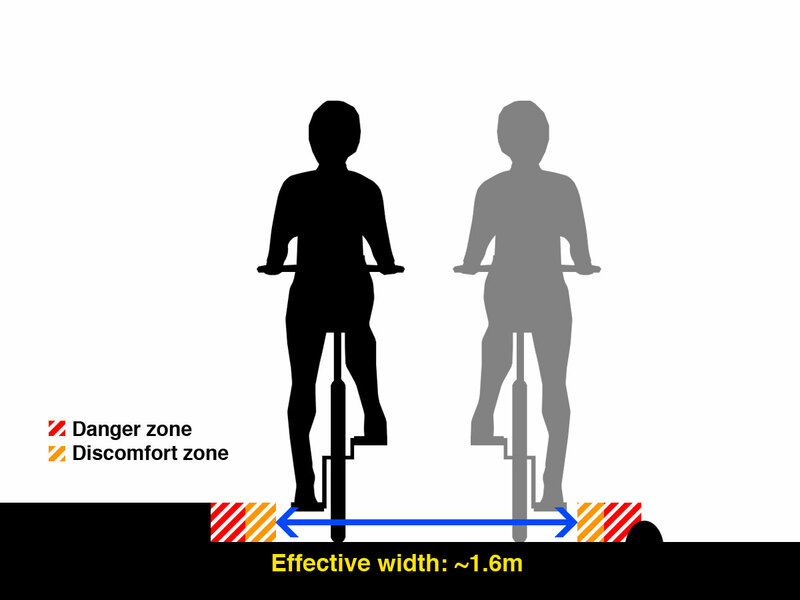 Well, now imagine that to ride past it you have to hop down a kerb into the general lane, then hop back up once you’ve passed. 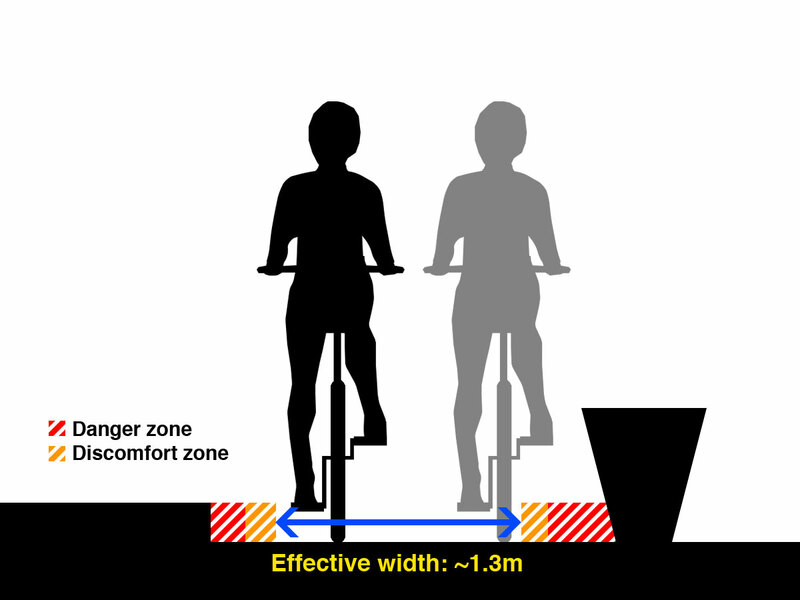 (Or, more likely, people will hop up onto the footway, causing more conflict there instead.) That’s what’s being planned on Gower Street – In 2015! By intentional design! – and I don’t think it’s an acceptable compromise. 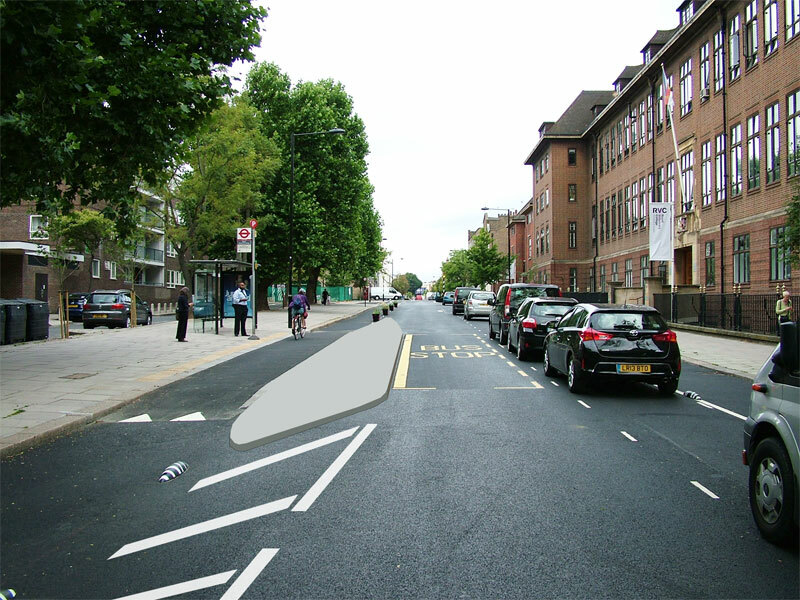 While any sort of cycleway can seem like a miracle in London, the planned Gower Street cycleway feels like such a token effort to me. It only exists in short, intermittent lengths between junctions, where it will become a painted lane with an ASL at the end. 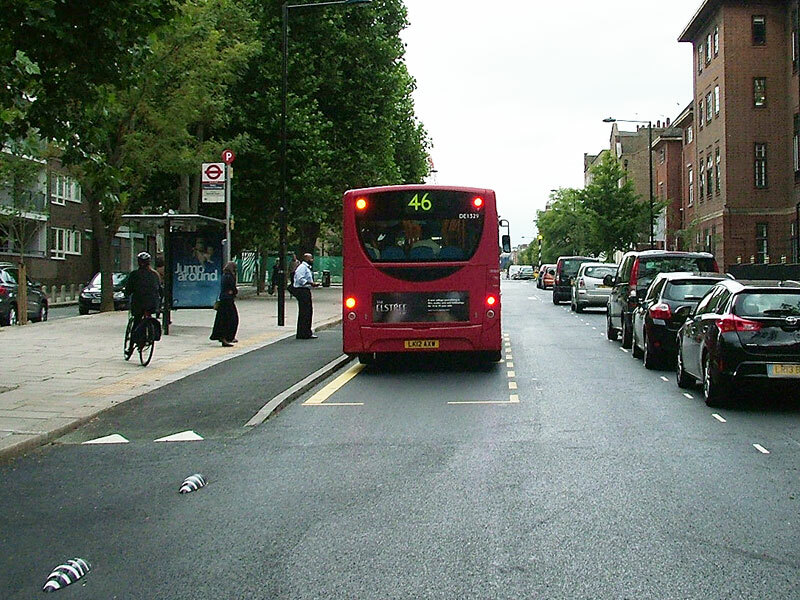 The brown areas are raised carriageway, so there will be just painted lanes, no physical separation. 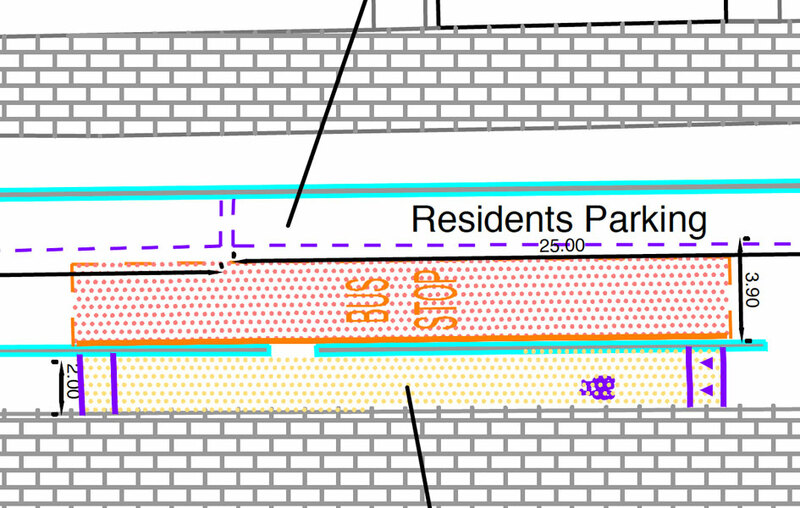 There’s a lot of this on the Gower Street plans. The junctions themselves offer no protection, just at the point where it’s most needed. 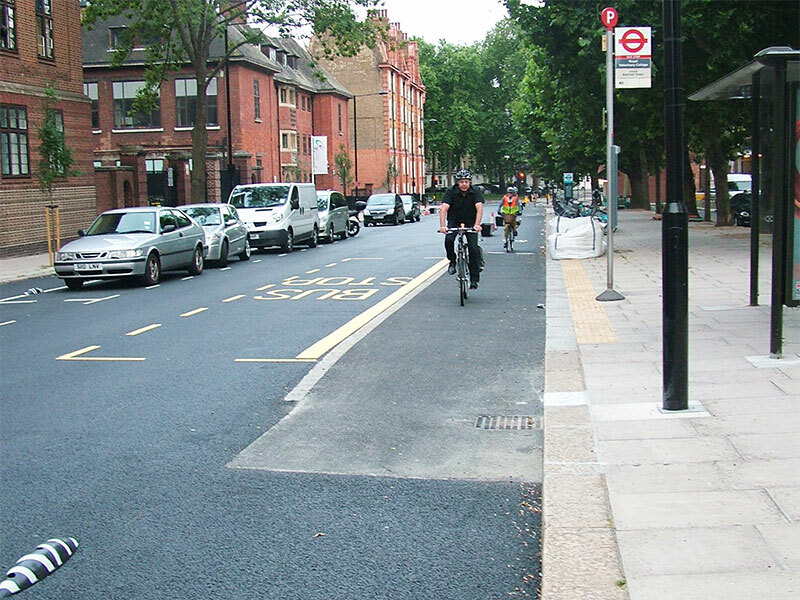 Apparently these painted lanes and ASLs are “to make it safer for cyclists”! Someone at Camden Council has got a very dark sense of humour. Is this what we campaigned for? Is it even remotely suitable for all ages, all abilities? I’m clearly not the only one who feels this way, judging by the comments on London Cycling Campaign’s news article about the plans. But don’t just take my word for it, have a look at the plans yourself. There’s a lot of cycle lanes and ASLs on them. There comes a point at which compromise becomes capitulation, and to praise these plans is to cross that line.